On the banks of the Somme River in the heart of the Picardy region, the charming town of Amiens is full of surprises. 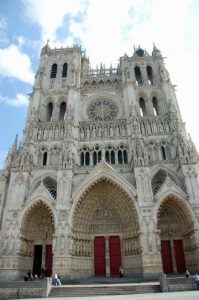 I went to visit this place and want to recommend Amiens to everybody. It was a sunny day and I’ve enjoyed first of all Amiens’ most trendy neighborhood, the Quartier Saint-Leu. It is a charming medieval quarter that is a delight to explore. 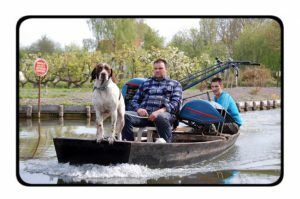 After the walk through the old town I was pleasantly surprised by a visit to Les Hortillonnages, an unusual garden, which can only be accessed by boat. In the swampy areas of Amiens, between the Somme and Avre rivers, Les Hortillonnages are small gardens that appear to be floating in the water. The gardens have been cultivated since the Middle Ages by “hortillons” (gardeners). 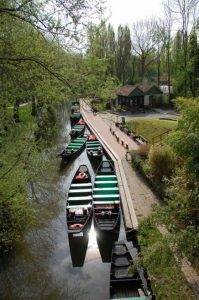 The area encompasses more than 300hectares featuring unique flora and fauna, and the garden plots are interspersed with canals navigable by special boats. 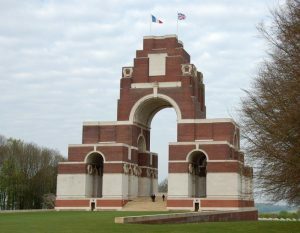 With my interest in WWI history, the Battlefields of Somme was a must-see attraction. 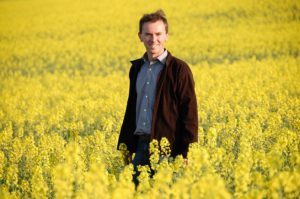 The peaceful countryside of this area was once the scene of vicious fighting during a significant battle in 1916. 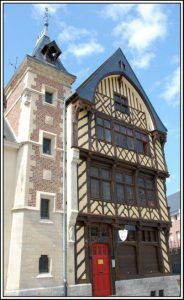 Somme is a four-kilometer drive from Amiens and the museum in Albert is a 30-kilometer drive. Back to Amiens for diner and for the highlight of the city: The Cadredrale de Notre Dame. A masterpiece of Gothic architecture, this UNESCO-listed cathedral is the largest church in France based on its total area of 7,700 square meters. With a length of 145 meters, the cathedral could fit a football field. The immense size and intricate details are remarkable.